Not so long ago, I was excited to receive our first Christmas party save-the-date. It may have felt a little incongruous arriving in August just as I was overheating in the swelter of a Greek summer, but nothing excites me quite like Christmas and it seems every year the party season becomes busier and busier! 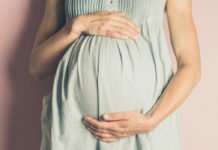 If you are pregnant, you may be approaching the festive season – which now seems to begin in November – with a distinct lack of excitement. Isn’t it all unsuitable nibbles and out-of-bounds booze, not to mention a lot of standing around? Not necessarily. I have a few easy tips to get you through the season with a smile on your face, a tummy full (ish) of food and something in your glass. Many women in the early throes of pregnancy feel so rotten the thought of a glass of wine is quite enough to send them straight to the bathroom. Some of you, however, may be well into your pregnancy and might quite fancy a glass of something. You will be unsurprised to hear that the Government recommends that you don’t get drunk. In fact, it recommends you avoid alcohol altogether. However, if you read into the thick of NICE (National Institute for Health and Care Excellence) guidance, you will discover that “if a low level is consumed, there is no evidence of harm to an unborn baby”. It is up to you to make your own decision. Just remember that, if you haven’t had any alcohol for a while, even a small amount, especially on an empty stomach, will go straight to your head. You might be in the early stages of pregnancy and not yet ready to tell anyone. If you don’t want to get rumbled by friends who will immediately assume you are pregnant if you opt for the ginger beer, then taking a glass of something and just holding it is a good way to throw them off the scent. It can be a good idea to have a snack before going to a party, if possible. If you are rushing there from work it can be tricky but even a nut bar or something small can be useful for staving off hunger pangs and keeping those blood sugar levels relatively constant. You may also find that when you arrive there is not much food or it is not served until much later and, disappointing though it is, you may find that some party food staples are not great for pregnant mums. Now, I am not the pregnancy food police and most of you know the guidelines about avoiding unpasteurised cheeses, raw or undercooked meat, eggs and shellfish. You will be amazed at how often forbidden foods sneak their way into canapés. A bit of Stilton on that croustade, some rare beef in that Yorkshire pud and so on. Exercise a little caution and remember that many nibbles often sit around for a long time at room temperature (a great way for bacteria to thrive) having been prepared earlier in the day; so, if the smoked salmon or prawns look a little tired, you may want to overlook them in favour of a cheese straw. Yes, all very healthy! Party food is often very salty and high in fat too, so another good reason to eat something beforehand is to stop you scoffing all the sausages (my weakness). Obviously once in a while this wouldn’t matter in the slightest but during the party season it can end up being several nights in a week. If you do find you have eaten something that you probably shouldn’t have, try not to worry. The chances are you and your baby will be absolutely fine. It is not worth losing sleep over. 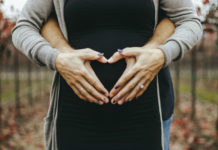 The reason pregnant women are advised to stay off certain foods is that, while you carry your baby, your immune system is slightly lowered so you do not reject your own baby. If you have some rare beef, for example, any bacteria lurking there, which has not been killed by the cooking process, may get through your lower-than-usual immune defences and may make you unwell. Some particularly horrid bacteria, such as listeria, found in unpasteurised cheeses, can also be very bad news for your baby. It is better to be safe than sorry; having said that, food poisoning is relatively rare and, if you do eat something you shouldn’t, try not to fret about it. The other thing about Christmas parties is that you may be expected to be on your feet for a long period of time. Wearing flat shoes can prolong the amount of time you are prepared to stay standing, so it can be a good idea to have a pair in your handbag, if you start off the party in heels. Do try to grab a seat when you can, even if it does mean missing out on some of the action. If there is nowhere to sit, which can be the case, then try standing with your weight equally distributed across your two feet, just a little wider than shoulder width apart, shoulders down, knees straight, but not locked, and abdomen tightened. Try to avoid the pregnancy pose of pelvis tilted forward with stomach out and back curved. If you are exhausted and uncomfortable, do not feel shy about going home. No one is expecting you to be the first to hit the vodka luge and start dancing on the tables at eight months pregnant. So, with a little forward planning, there is nothing to stop you really enjoying the party season. It’s a great opportunity to buy a new dress (try maddersonlondon.com for something really special) and see lots of friends before your little one arrives and your life changes dramatically. You may miss out on the Champagne and some party food is out of bounds, but you will wake up the next morning with a clear head and the energy to face the next social occasion or maybe even tackle that Christmas shopping list!